Thank you for your interest in sponsorship opportunities with Armstrong Cooper Youth Hockey Association. Advertising with us provides your business with a presence at the New Hope Ice Arena which welcomes over 500,000 visitors every year. And your support helps us keep hockey affordable for local kids. We appreciate your support! Below you will find a link to our Advertising and Marketing brochure, which provides details on the advertising and sponsorship package options that are currently available. To purchase a sponsorship package for your business, please contact Allison Riestenberg. A big thank you to ACYHA's current Sponsors! ACYHA would like to thank our current sponsors for their generous support! We couldn't do it without you! Show these local businesses that you appreciate their sponsorship of our association by visiting them frequently. Thank you to our sponsors for the 2018 - 2019 hockey season! Custom mouth guards offered for all ACYHA families during 2018-2019 hockey season! ACYHA has partnered with Reese Orthodontics of New Hope to offer custom mouth guards, free of charge, for all ACYHA families (including skaters, sibling and parents) for the 2018-19 hockey season. Simply call their office to schedule an appointment for a fitting any time during the hockey season. Your custom mouth guard will be ready for pick up at their office in 7 to 10 business days. Your family must have a skater registered with ACYHA to participate. What if my child currently has braces? Custom mouth guards will not work for kids with braces. However, most kids in braces will already have a generic mouth guard from their orthodontist or dentist. Your child’s orthodontist should have "braces friendly" guards available. What if my child will be getting braces soon or has a space or loose teeth? Kids whose teeth are in transition should be fine. If there is a space or loose tooth/teeth, the staff knows how to create some relief in the mouth guard to make room for erupting teeth and any other situation like that. In other words, they are made so the kids can get through the season with the same mouth guard. Can other family members get a mouth guard too? If siblings or parents want a mouth guard, that's great! There WON'T be any charge for them either. What colors are available for mouth guards? The MN Hockey 2018-19 handbook states that all players, including goalkeepers, are required to wear a colored (non-clear) internal mouthpiece, which covers all remaining teeth of one jaw, customarily the upper. Reese Orthodontics currently has red, blue and orange colors available. Please call Reese Orthodontics if you have questions at 763-544-8745! ACYHA thanks our Gold Sponsors for their tremendous support! 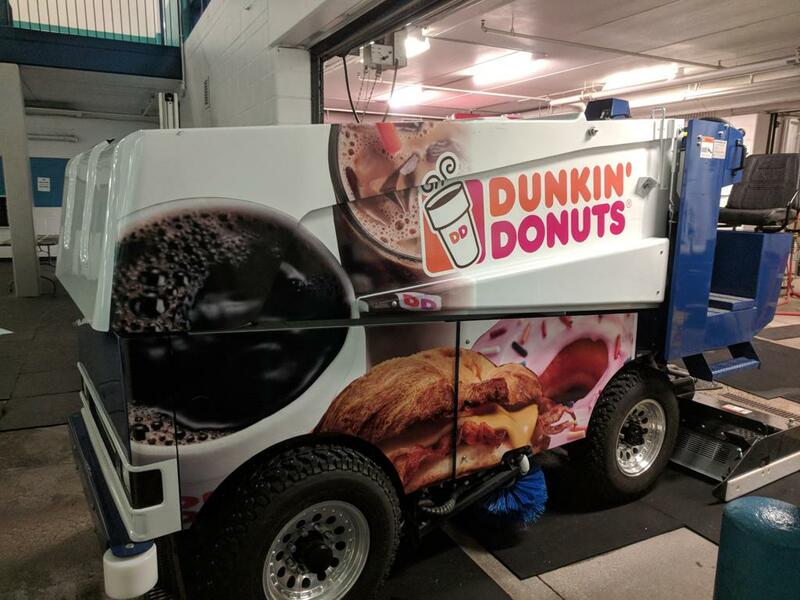 Look for the Dunkin' Donuts wrap on the new Zamboni at NHIA! 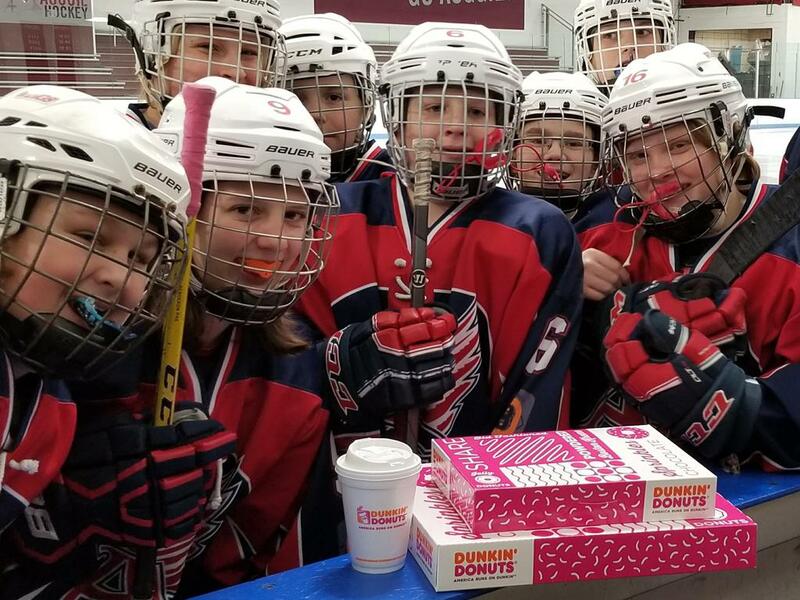 Dunkin' Donuts - Perfect for early morning ACYHA practices! ACYHA is grateful for the support of our Silver Sponsors! 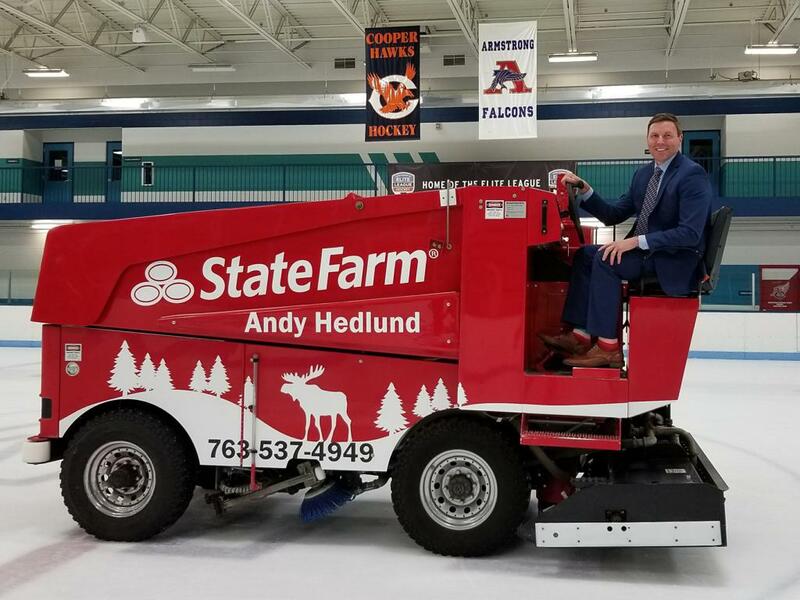 About Andy: The local team at Andy Hedlund State Farm is here and ready to help you! They are conveniently located between Highway 169 and Highway 100 in New Hope, MN. Their customer base spreads all across the Twin Cities Metro Area and Greater MN. They have full a service team that can handle just about any Insurance or Financial Service request. Call Andy and his team today for a quote. Auto parts manufacturer and distributor. Quality motor parts.